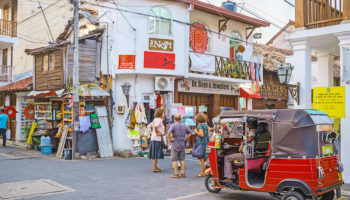 Located in the Indian Ocean, Sri Lanka’s long and ancient history means that there are a wealth of incredible sites to explore on this marvellous island. 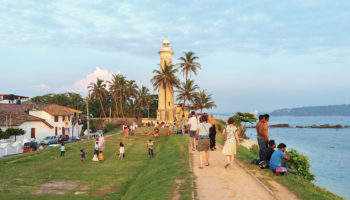 With traces of human settlements dating back to the 6th Century BC, needless to say visitors to Sri Lanka may revel in all the historical, archaeological and cultural sights on offer. 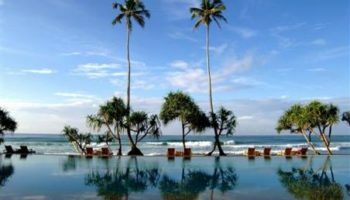 Whether it is delighting in the ruined temples of Anuradhapura and Polonnaruwa, gazing in awe at the ancient frescoes at Pidurangala Rock or simply bathing in the beautiful waters that surround the island; Sri Lanka has something for everyone. With an array of stupendous scenery and an abundance of natural wonders on show, this pearl of a country is absolutely amazing to explore. 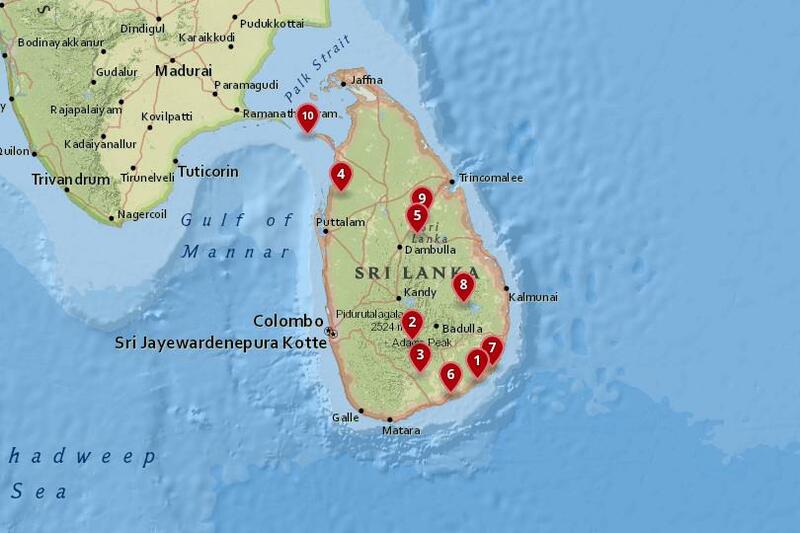 Here are the most beautiful national parks in Sri Lanka for you to enjoy. Located near a narrow peninsula jutting out into the Indian Ocean, Adam’s Bridge Marine National Park has a beautiful array of ecosystems for visitors to enjoy. 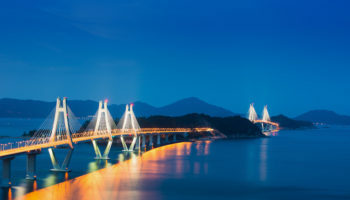 The marine park surrounds Adam’s Bridge which is made up of a chain of low-lying shoals and evidence actually indicates that this chain once connected Sri Lanka to the mainland of India. It has long been a place of great renown and it is even mentioned in the Ramayana, one of India’s most ancient and revered texts. Due to its proximity with India, birds follow the chain of shoals when migrating north and south and as such it is an important resting point for them. With reefs just off the shore, smooth silky beaches and low-lying scrubland, the national park is a haven for a variety of wildlife. 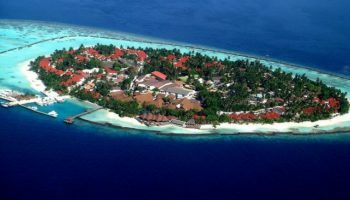 While a huge array of birds pass through the area, it is the dolphins, turtles and dugong that pass by the coast that make for the most memorable sight. 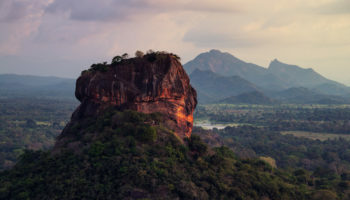 One of the most important areas in Sri Lanka for birdlife, this national park is obviously very popular with birdwatchers who flock to its boundaries to gaze in awe at the multicoloured show before their eyes. Although visitors primarily head to the park to marvel at the birds that swirl above their heads in the bright blue sky, Kaudulla is also home to a number of large mammals. 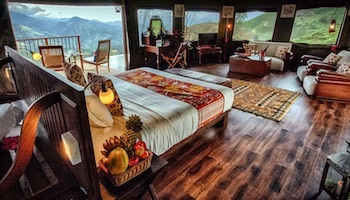 Lucky tourists may spot, elephants, sloth bears, Sri Lankan leopards, deer and wild boar roaming around the forests as adorable lorises swing from the branches on either side. The abundance in fauna and flora which attracts the birds to the area is due to King Mahasen who set aside the park’s area as a water source for his people all the way back in the 3rd Century AD! 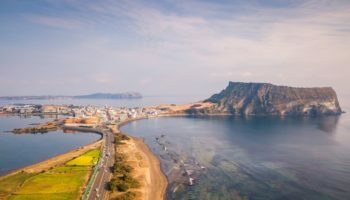 When the irrigation tanks were finally abandoned sixty years ago, wildlife quickly sprung up around the water source and the area was thankfully turned into a national park in 2002. As you can see, history abounds everywhere in this beautiful country. The nearby Senanayake Samudraya reservoir is actually responsible for the establishment of this wet and wild park because Gal Oya National Park acts as a catchment area for the excess water that the reservoir does not store. Consequently the national park has a number of wetlands and lush forests that happily soak up the water, turning the life-giving source into verdant leaves and dense fauna. Visitors to the park may catch a glimpse of some of the amazing animals that call the park their home with elephants, buffaloes and leopards all residing within its confines. Right next to the park is the sacred shrine of Dighavapi that attracts thousands of pilgrims each and every year. Located on the southeast coast of Sri Lanka, this park is a haven for the migratory birds that stop off in Kumana each year to rest. Huge flocks of wading birds and waterfowl cover the skyline such are their innumerable numbers that descend upon the lagoons and wetlands of the park. Over 250 different species of birds have been recorded in the area and the swamps and forests that also dot the park make for perfect breeding grounds for the exhausted birds. When resting or feeding, the birds need to be wary however as jackals and fishing cats lurk in wait to prey on unsuspecting victims. Elephants and wild boar can also be spotted in Kumana from time to time. 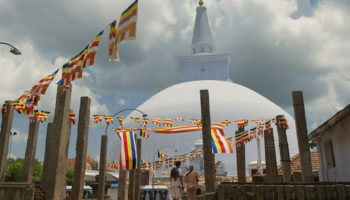 As the Hindu temple of Kataragama lies nearby, many pilgrims pass through Kumana National Park each year as its confines lie on this ancient and sacred route. Home to an amazing array of different ecosystems, the wetlands, sand dunes and forests of Bundala National Park house a startling multitude of wildlife. With close to 200 different types of bird residing within the park and a veritable menagerie of amphibians and mammals on display, it is fair to say that Bundala will delight and astound any nature lover. Located right down south in Sri Lanka the park is amazing to wander around; creeping through the dense foliage lucky visitors may stumble upon the furtive Indian muntjac or the easily startled mouse deer that upon discover will flee to safety through the fauna. Just like the aforementioned Kaudulla National Park, Minneriya National Park also owes its existence to King Mahasen’s actions all those centuries ago! Once again the site of a former irrigation tank, Minneriya’s reservoir and wetlands are now a biodiversity hotspot with a whole range of different animals and birds calling the area their home. With a number of diverse ecosystems such as forests and shrublands on show, the impressive landscape changes before your eyes as you make your way through the park. Although the stunning scenery and wildlife is beautiful to behold, one event stands alone and is undoubtedly the crown jewel of what the park has to offer: The Gathering. During the dry season, the park’s grasslands are an attractive and abundant food source for the Sri Lankan elephants that live in the surrounding areas and consequently droves of them flock to the reservoir’s edge and frolic in its waters. While they usually number around 200 in total, some reports state that up to 700 have been counted in Minneriya! Watching them congregate together in such numbers is an unforgettable experience that will leave any lucky visitor with fond memories of all the elephants they have seen up close and in their natural habitat. Meaning ‘Land of Lakes’; Wilpattu National Park certainly lives up to its name as nearly sixty of them are found within its boundaries. Due to these life-giving water sources, fauna and flora flourish in the wet environment and consequently a diverse array of animals also call the area their home. Elephants, leopards, water buffalo and the delightfully quaint sloth bear all meander their ways through the dense forest and scrubland. Untouched and wild, the pristine environment is beautifully untamed and as such is lovely to gaze upon. With the sun setting over the shades of greens, yellows and browns that characterize Wilpattu National Park, visitors will undoubtedly want to return time and time again to this charmingly peaceful park. Although there are a few mountainous areas that form a beautiful backdrop to the stunning scenery on show, it is mainly plains and marshes that dominate Udawalawe National Park. 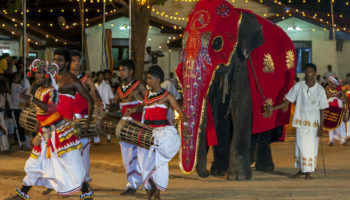 While the wild look of the park is certainly attractive, tourists mainly flock to its confines to see the Sri Lankan elephants that roam the flatlands. With birds circling overhead, the gigantic elephants kicking up a reddish-brown dust and the mountains in the distance framing the landscape; Udawalawe is certainly beautiful to behold. Wow! With a number of impressive vantage points that look out over stunning views of the park, Horton Plains is definitely well worth visiting. Situated in the central highlands of the country the national park has lovely lush forest that tumbles away before the plateaus and peaks that reside among the clouds. One of the most popular viewing points is the World’s End precipice which offers up phenomenal panoramas of the surrounding areas. As the park is the source of three of Sri Lanka’s primary rivers, its wet nature ensures that wildlife, flora and fauna all thrive in Horton Plains. Another draw for tourists is Baker’s Falls; a delightful cascade that springs out from amidst the dense undergrowth. 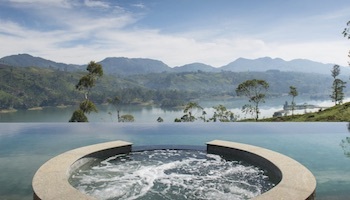 It is not without reason that it is one of the most popular national parks in the whole of Sri Lanka. The most visited national park in the country, Yala is renowned for its wildlife and with Sri Lankan elephants and leopards on show; the national park is certainly delightful to visit. Located deep in the south of the country, Yala has a wide variety of ecosystems to enjoy as the landscape changes before your eyes from sandy beaches and thorn forests to grasslands and monsoon forests. With a huge number of elephants within the park as well as one of the world’s highest densities of leopards; tourists should hopefully be able to spot these majestic creatures when visiting the park. 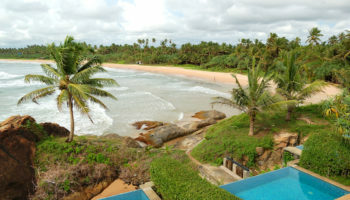 History is never far away in Sri Lanka and a number of ancient civilizations once flourished in the local area of Yala. Nowadays the pilgrim sites of Sithulpahuwa and Magul Vihara which are located in the park still attract a huge number of worshipers each year.